A big thing, or at least a thing at many restaurants, are hidden menu items. 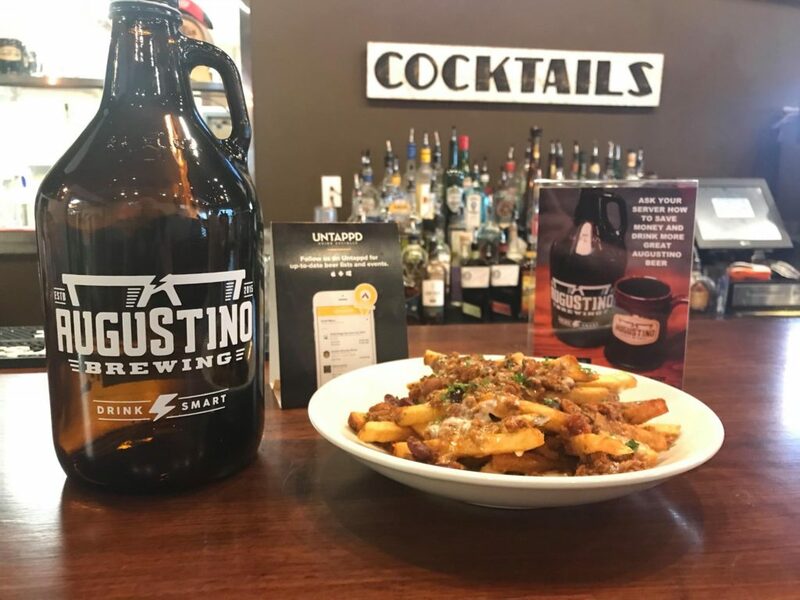 This was never something we were really seeking out to do beyond our food specials, but co-founder Geoff Finn suggested using our amazing chili and our brewer’s cheese fondue (along with a little other goodness) to create our chili cheese fries. They’re delish and worth coming in to try. Pair with one of our beers for a fantastic treat! Cheers! What else is on our menu? You can check anytime from wherever you are with the Augustino Brewing Co. App. Available now for Android and iOS.